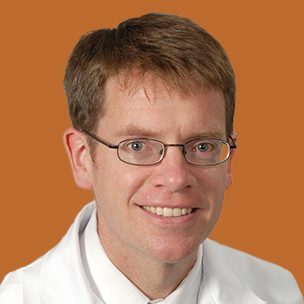 Dr. W. Charles Conway is director of surgical oncology at Ridley-Tree Cancer Center in Santa Barbara. He specializes in peritoneal mesothelioma. Dr. Conway joined the Ridley-Tree Cancer Center in Santa Barbara, California, in 2017 as the director of surgical oncology. He operates out of Santa Barbara Cottage Hospital, where he specializes in gastrointestinal cancers and peritoneal surface malignancies, including mesothelioma. He previously spent eight years at the Ochsner Cancer Institute in New Orleans, where he carved a reputation as a national leader in the treatment of peritoneal mesothelioma, the rare and aggressive asbestos-related cancer. His recruitment to Santa Barbara was part of a larger effort to bring improved health care to California’s central coast. That effort included the opening of a new high-tech, $68 million multidisciplinary cancer center. Conway offers surgery for cancerous and benign diseases of the pancreas, esophagus, gall bladder, liver, stomach and bowel. He earned his medical degree from Wayne State University in Detroit. He completed his internship and residency at Wayne State University/Detroit Medical Center, while also spending time in Ghana for an international studies program. He earned his fellowship in surgical oncology at John Wayne Cancer Institute in Santa Monica. Conway received his certification in general surgery from the American Board of Surgery. He is an active member of several professional organizations, including the American College of Surgeons and the Society of Surgical Oncology. In New Orleans, he worked with Dr. Rodney Landreneau, a world-renowned expert in thoracic surgical oncology and pleural mesothelioma. Together they established Ochsner as the South’s premier specialty center for mesothelioma. Dr. Conway completed Louisiana’s first robotic Whipple procedure for pancreatic cancer. The procedure is a complex, robot-assisted surgery that uses smaller incisions than traditional techniques.